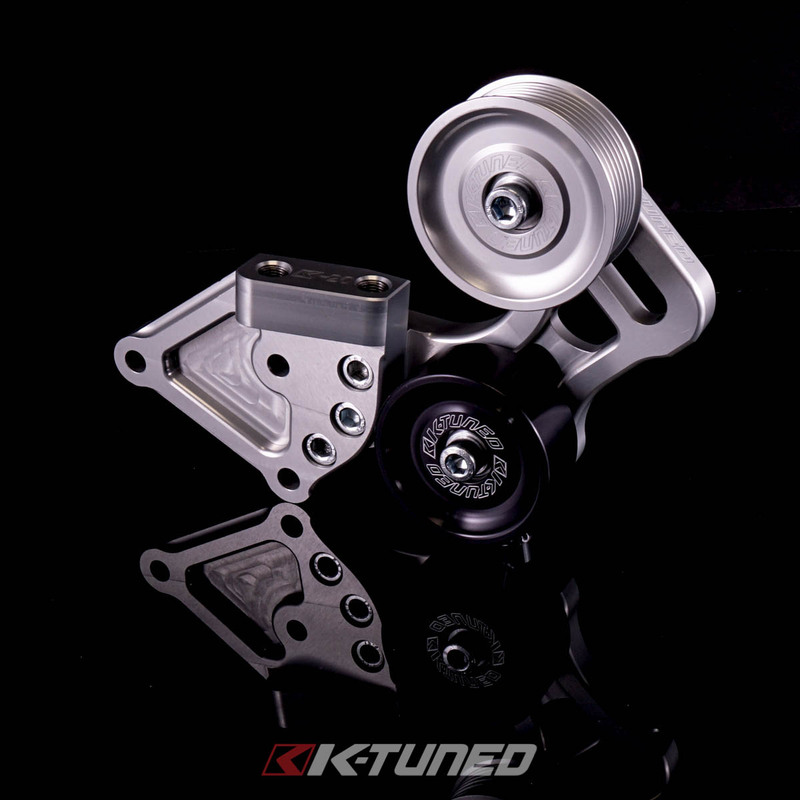 The K-Tuned Side Mount Pulley Kit was designed to merge the 2-bolt side engine mount on the timing chain case with two adjustable pulleys. 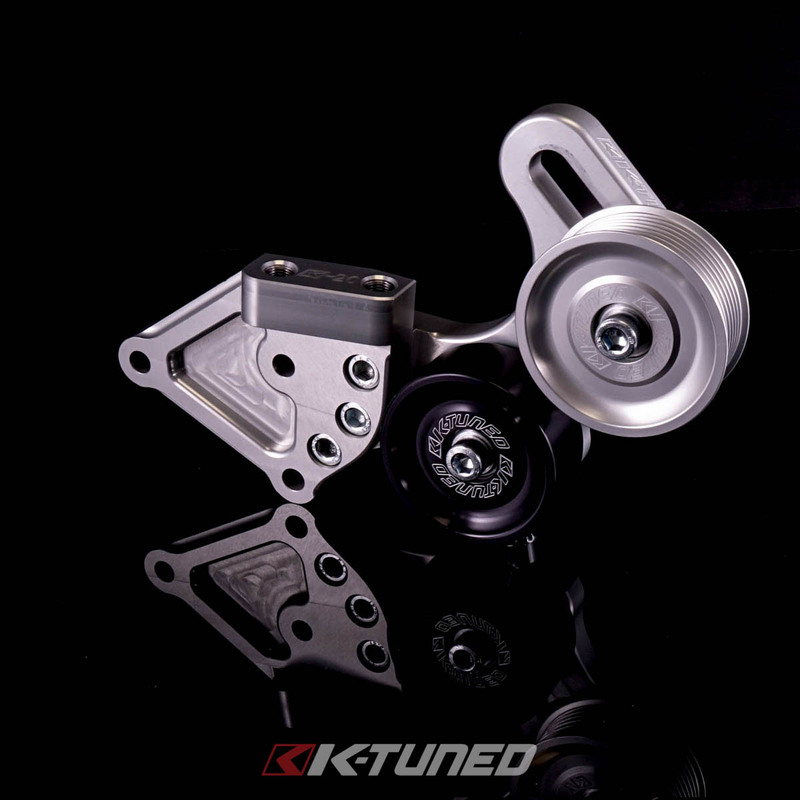 By joining these parts together we were able to create a strong and compact mount/pulley combo that opens up some much needed space in the engine bay of K-Swapped and original K-powered cars. 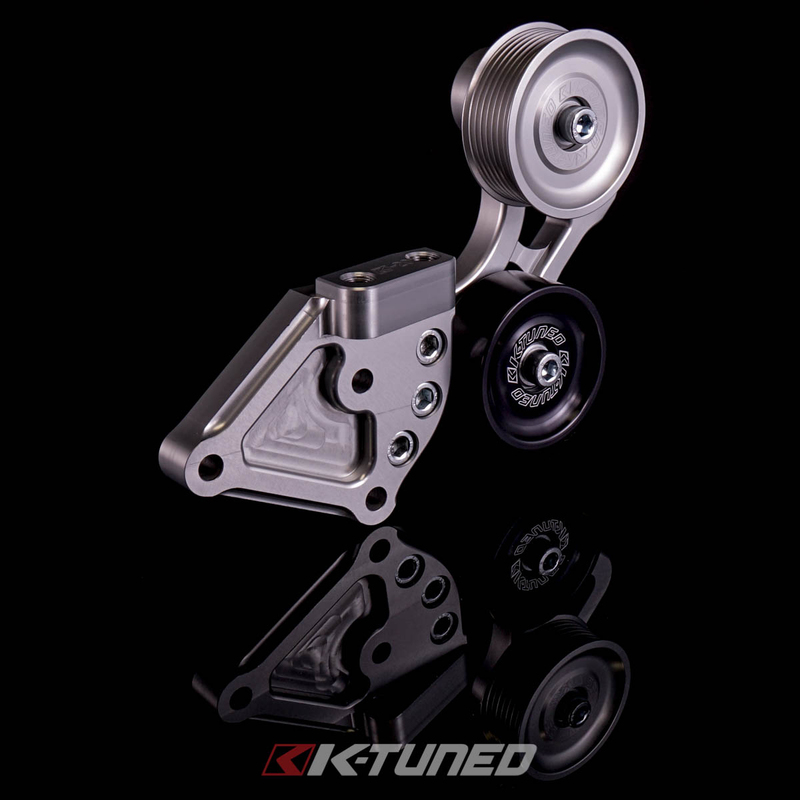 Both pulleys are adjustable, the black pulley has three mounting positions and the top silver pulley slides along the bracket. 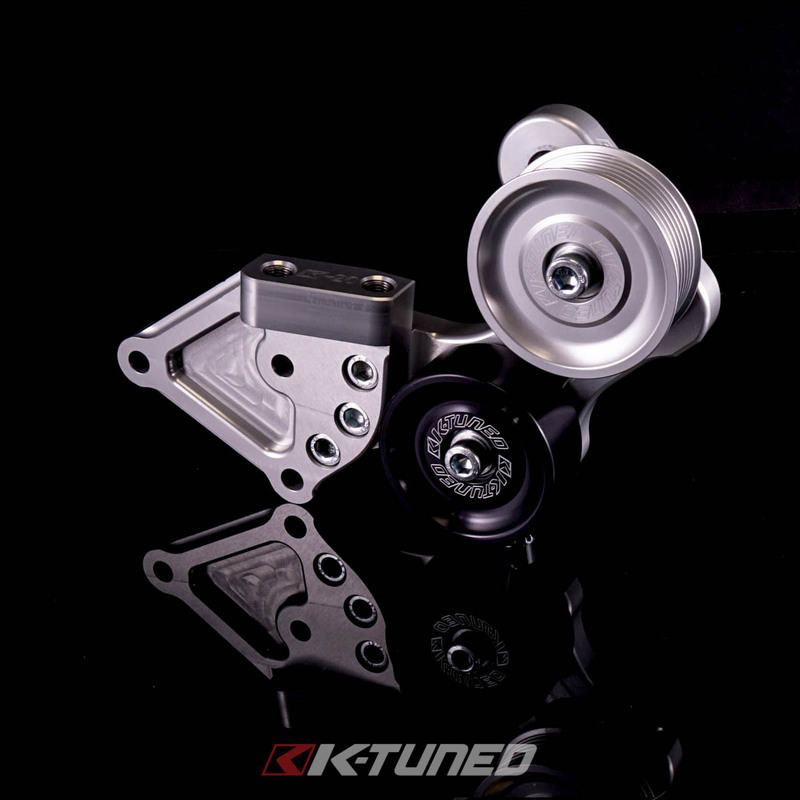 Note that this kit does require deleted or relocated power steering on some vehicles, but only on applications that are pump driven, like the RSX. 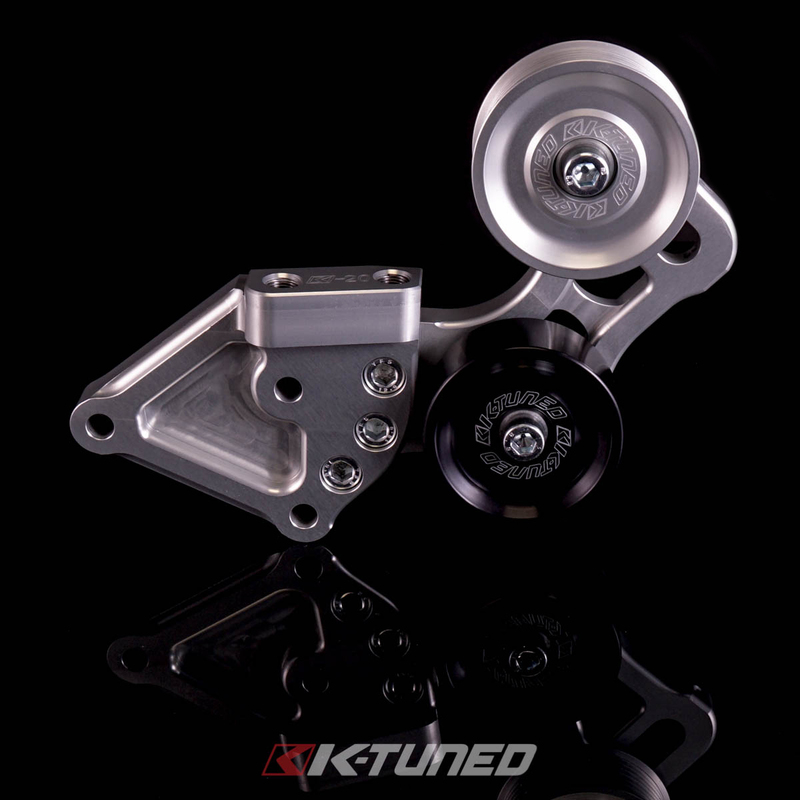 For installation, the factory alternator stays mounted in its oem location, while the factory auto tensioner and idler pulley for the belt are completely removed. 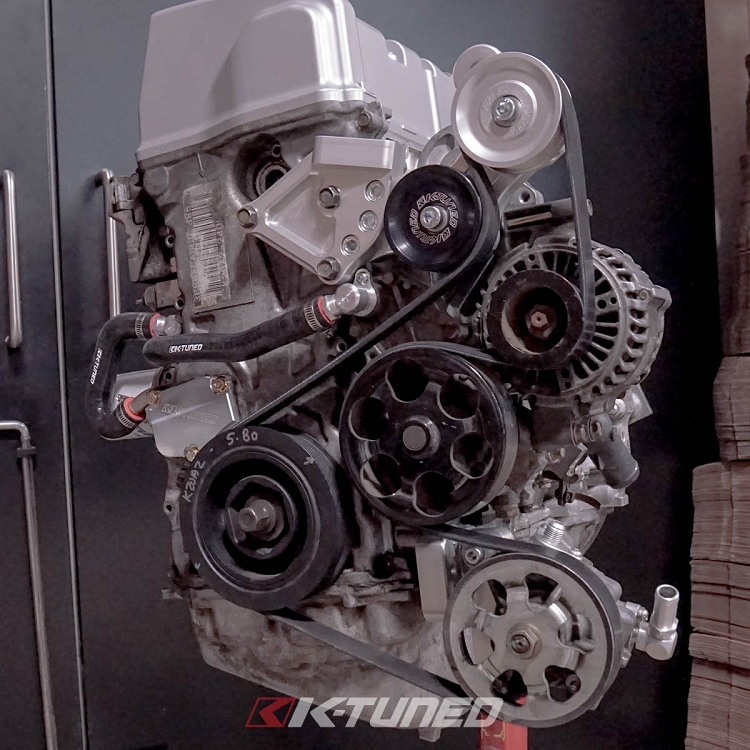 The result is more space exactly where it is needed, gaining approx. 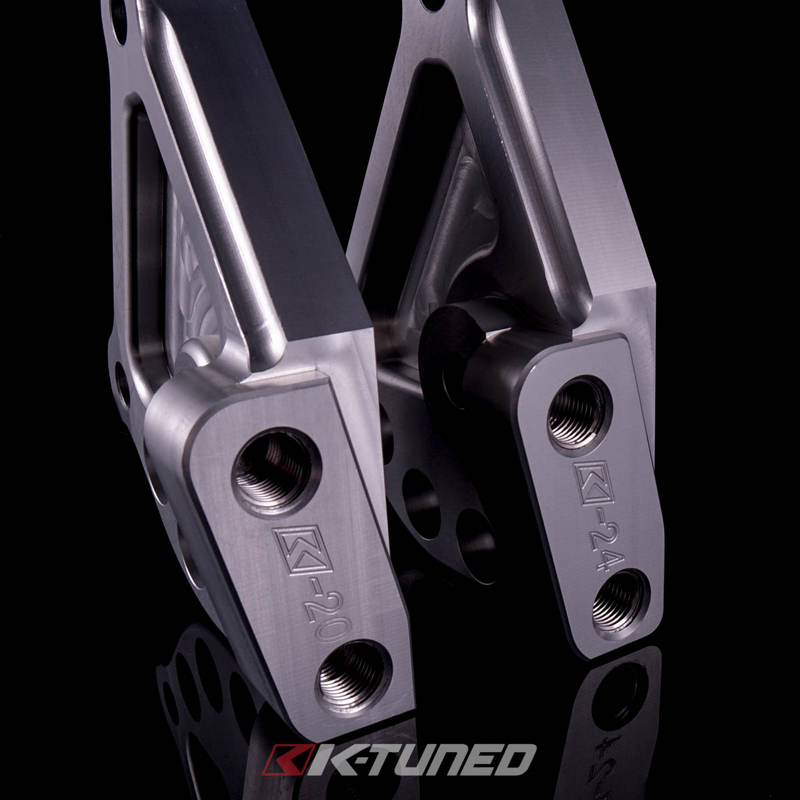 2 inches of additional clearance right beside the intake manifold. 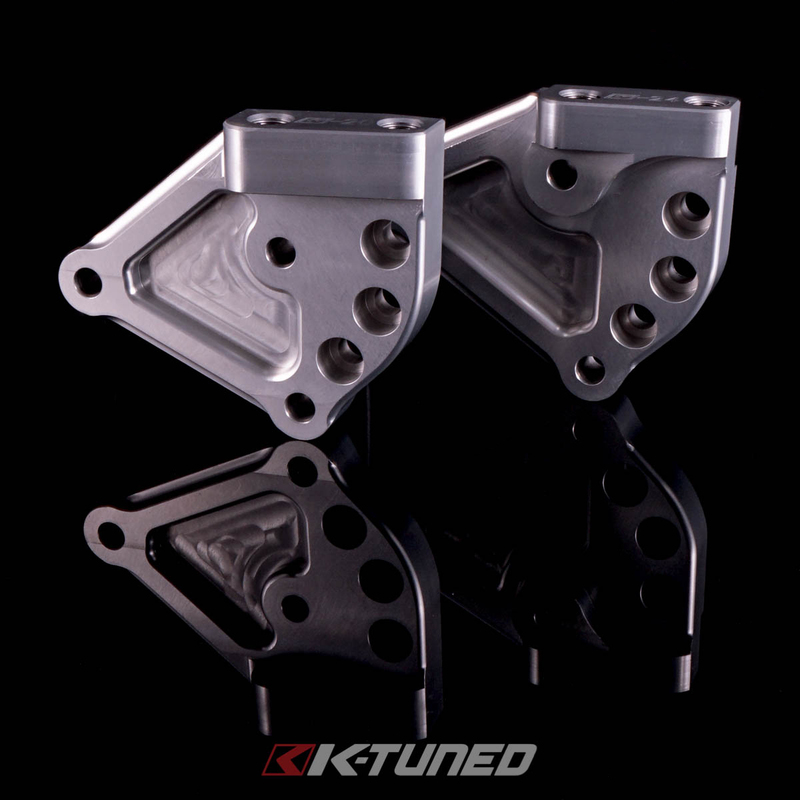 This is perfect for fitting some of the larger, aftermarket, straight runner intake manifold options which until now required quite a bit of modification to fit. 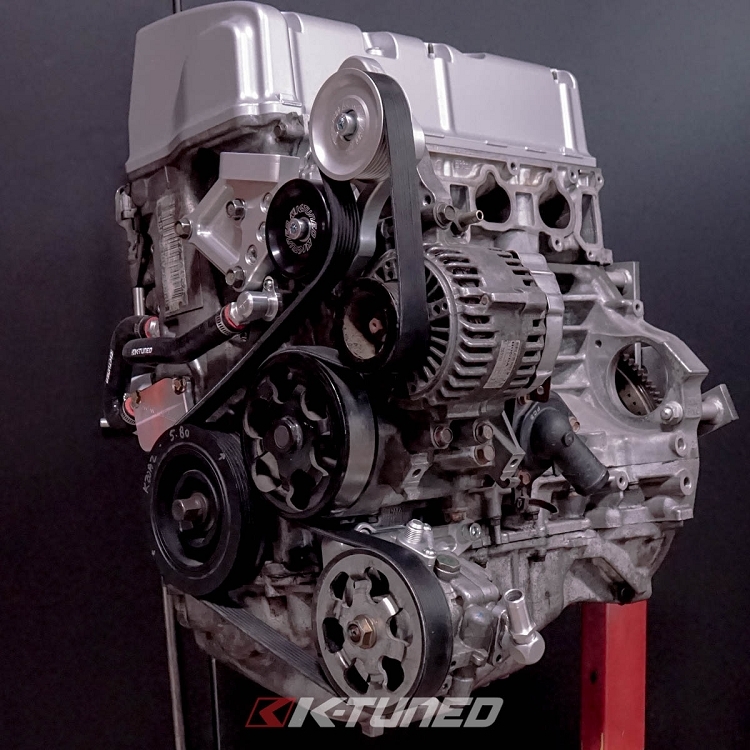 Rotrex supercharger users will also be thankful for this design because the Rotrex charger remains untouched in the original AC position. 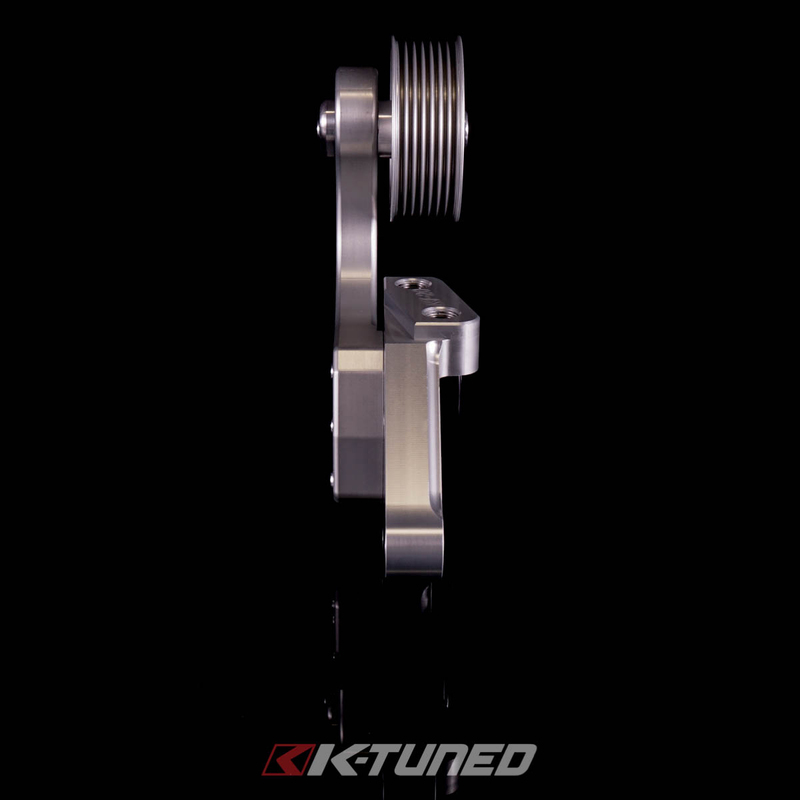 For simpler setups, the kit offers the cleanest look that we have developed yet, and does allow AC to be kept in place for customers that want the option. 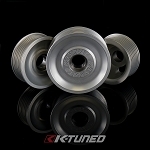 This pulley kit features tons of adjustability and will accommodate multiple oem applications and various belt lengths. 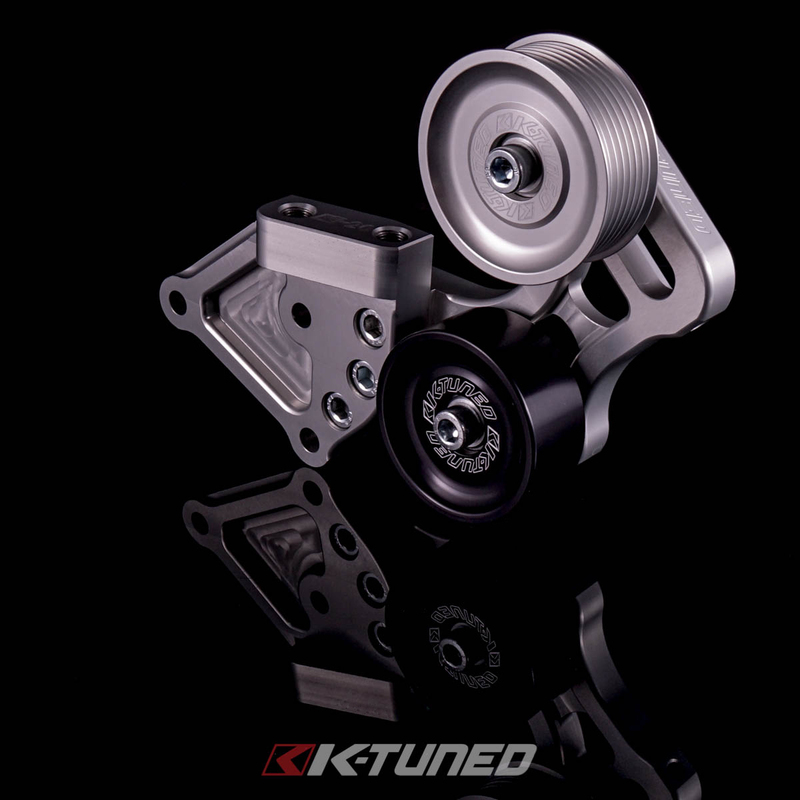 The best part is, in most situations the current belt that is being used will simply transfer over to the new pulley kit. 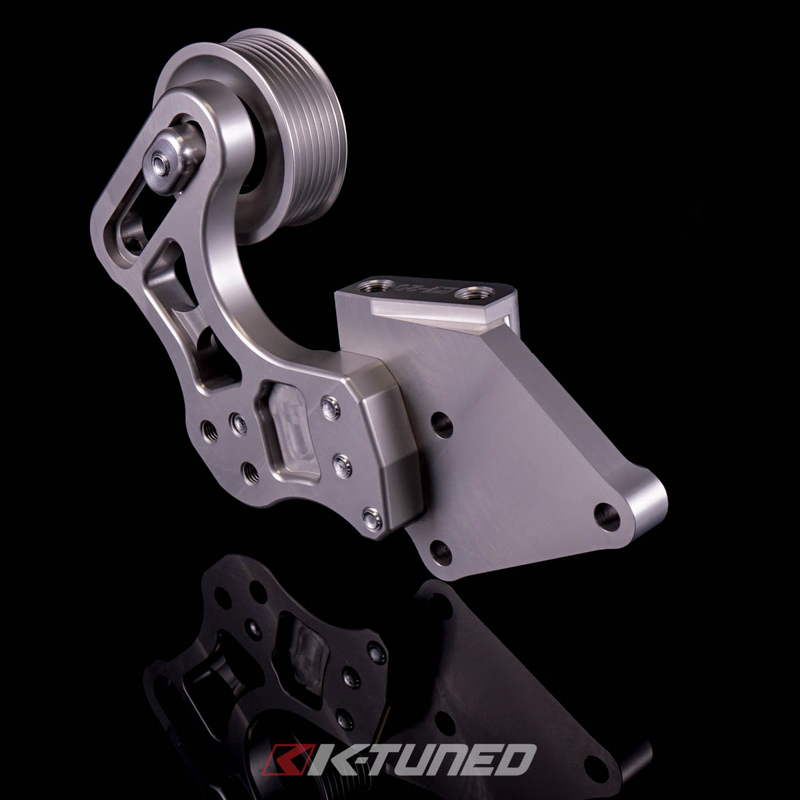 Some exceptions apply, such as deleting additional accessories during the install or current use of another aftermarket pulley setup. 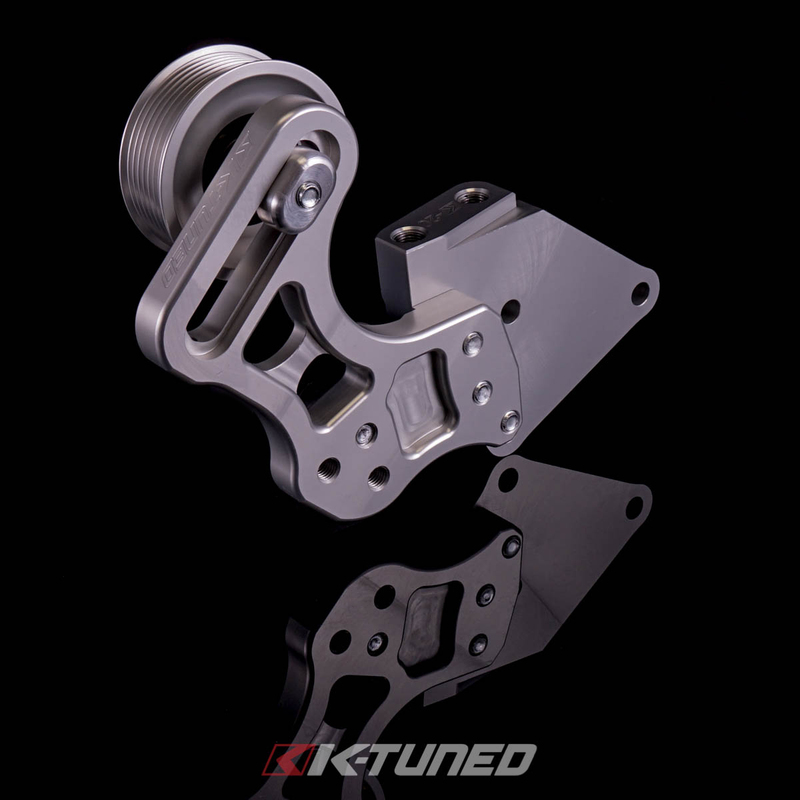 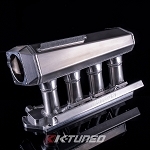 All parts are CNC machined from 6061 billet aluminum and anodized, making them both lightweight and very strong. 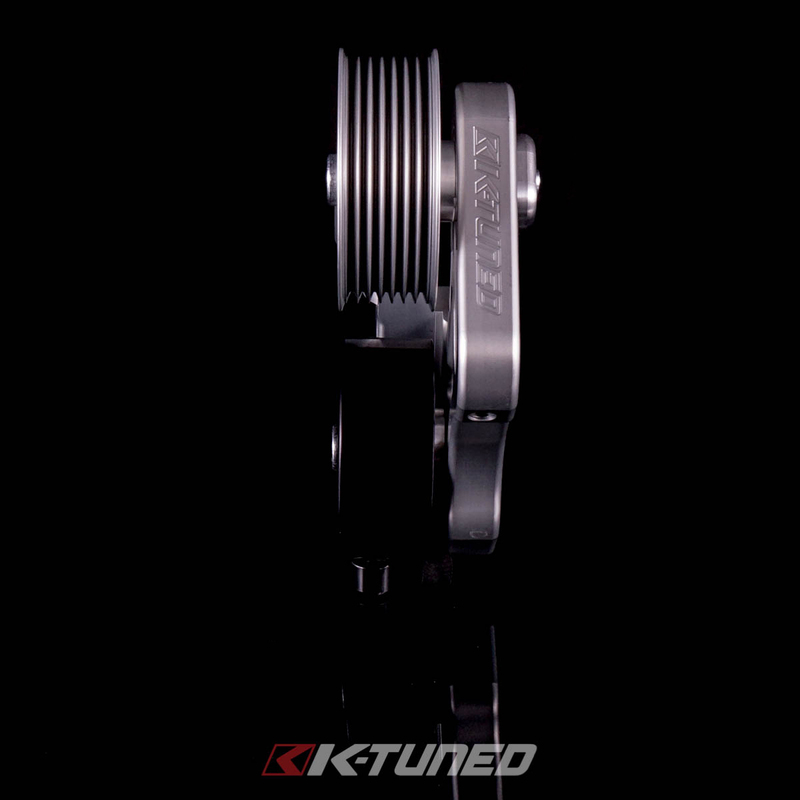 The side mount comes HeliCoiled to allow countless install/removal without worry of damaging threads. 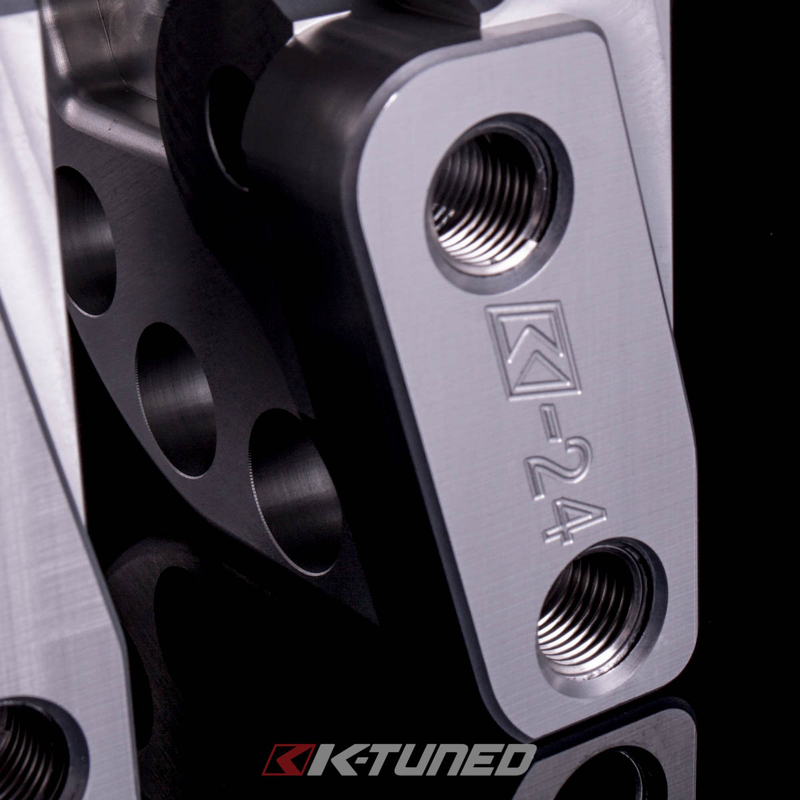 Fitment is engine block specific, the mount on the K20 and K24 engines have slightly different bolt patterns, so please order to match the block that you are using to ensure correct fitment. 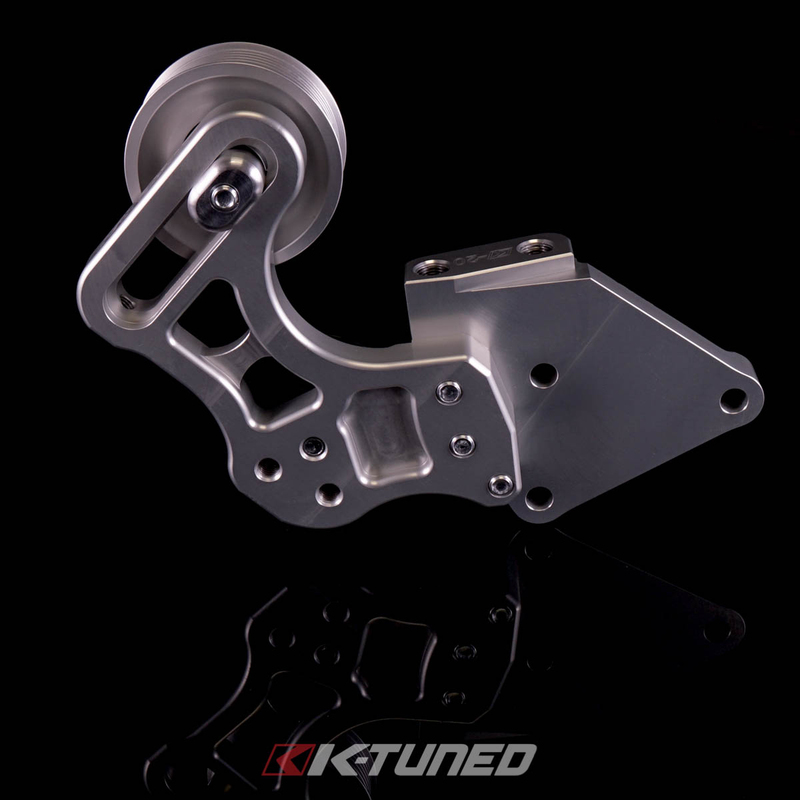 Also note that the 3 bolts that hold the original side engine mount in place will be reused to mount the new pulley kit.